Bold, brilliant and beautiful are just a few features of this ring from Apples of Gold. Set in the ever-radiant white gold, the ring casts a naturally bright glow. Delicate swirls are expertly carved into the band, creating a unique art deco look. 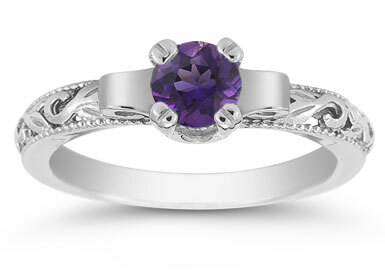 Two thin beaded edges line the ring's sides and bring focus to the 5mm amethyst gemstone set in the center. Flanked by two coils of white gold, this gem stands out in all the right ways with its rich color and art deco elegance. 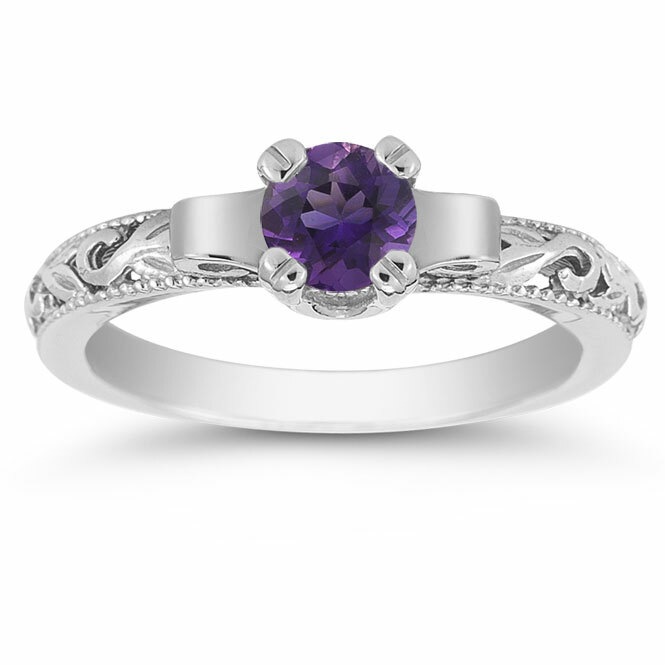 We guarantee our Art Deco Amethyst Engagement Ring, 14K White Gold to be high quality, authentic jewelry, as described above.